As with many things relating to McD's, there's something about this image that makes me uncomfortable, but I'm not entirely certain what it is. 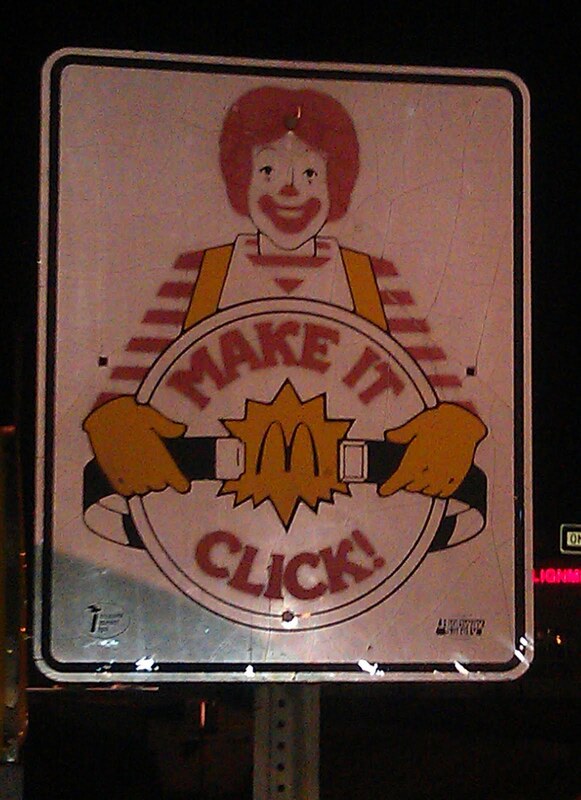 Is it Ronald's face? The slogan that we should "make it click" with him? 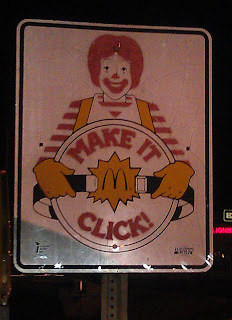 The big iconic "M" that is about where Ronald's groin area would be? The fact that safety is being associated with a clown? Glad to see the Gallery back in operation. And you brought Ronald with you! Thanks for the well wishes, Kingofgrief. And what better way to get back into the swing of things than something with the burger clown?